We decided that today is Brandy's in Dallas day. We have been here before but not really seen the historical stuff. We started off the day in Joshua, TX. 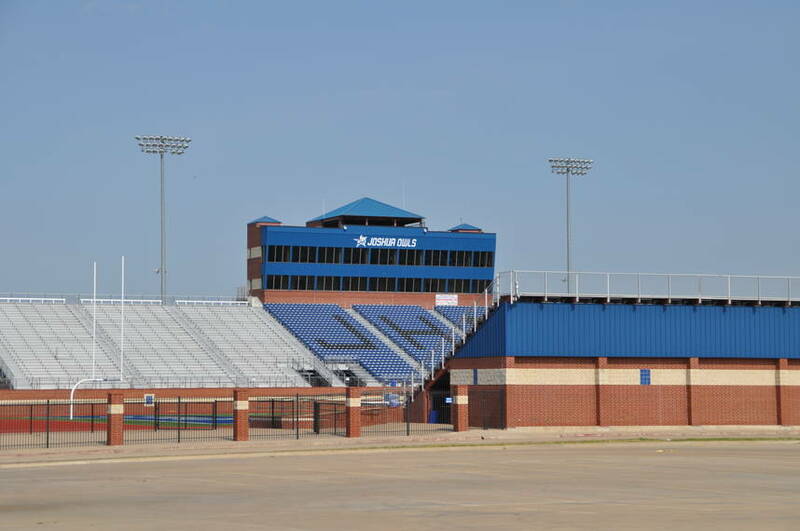 Can you imagine a high school that has 2,500 students having a 7 million dollar football stadium? Yep 7 big ones. 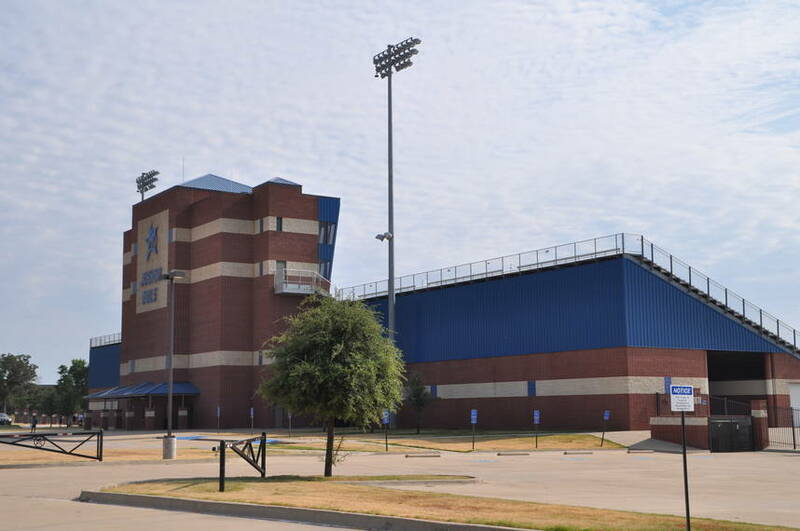 Please believe that Friday Night Lights is big in Texas. 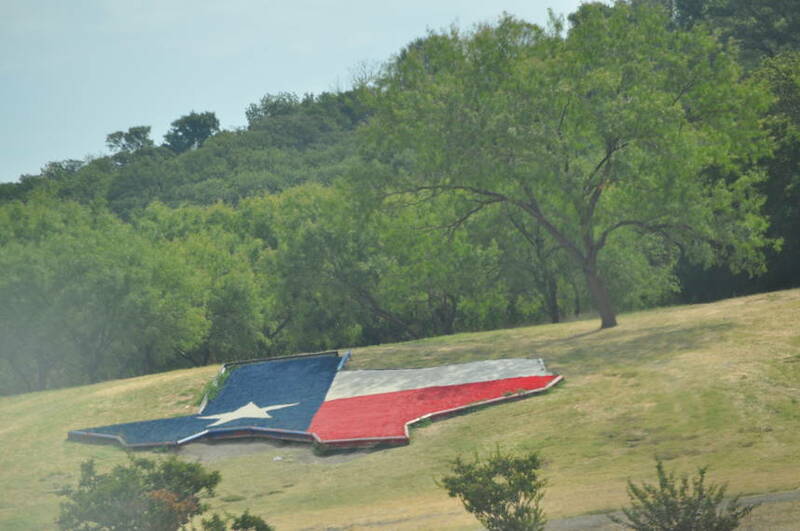 As we are driving down the freeway there is a meadow that has the state logo carved in it. 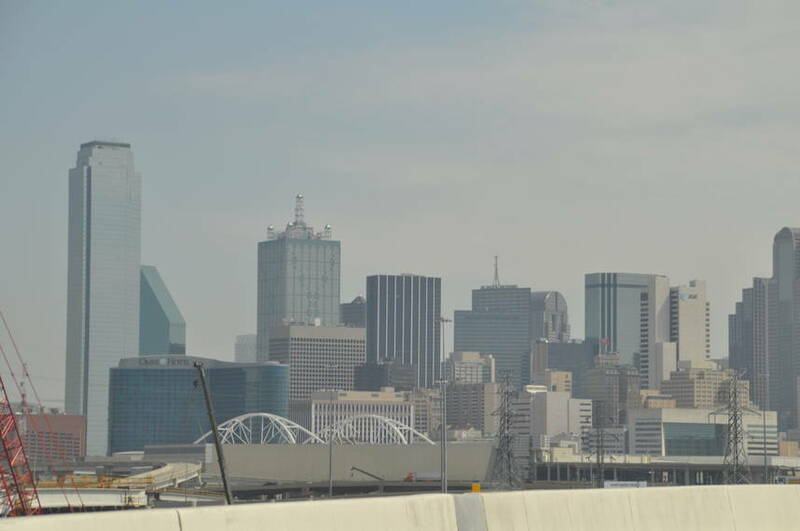 Downtown Dallas is quite large. We parked our car Connie in a lot for $7.00 for the whole day. 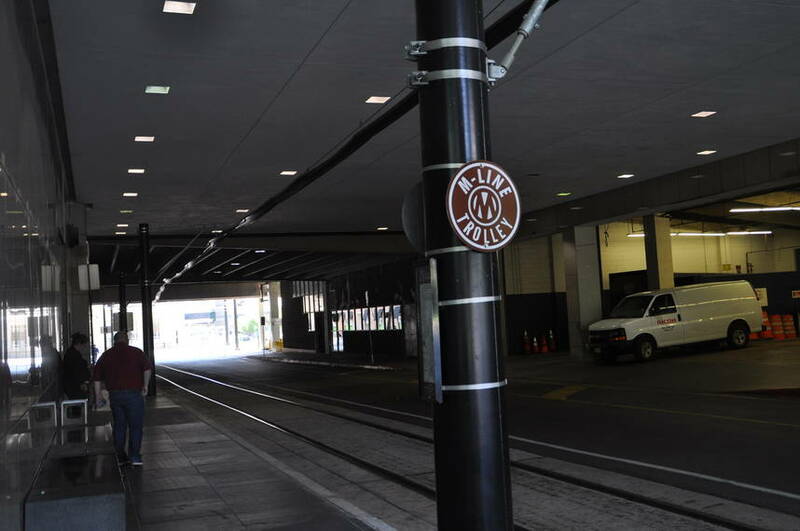 Where in Cally can you park that cheap downtown??? 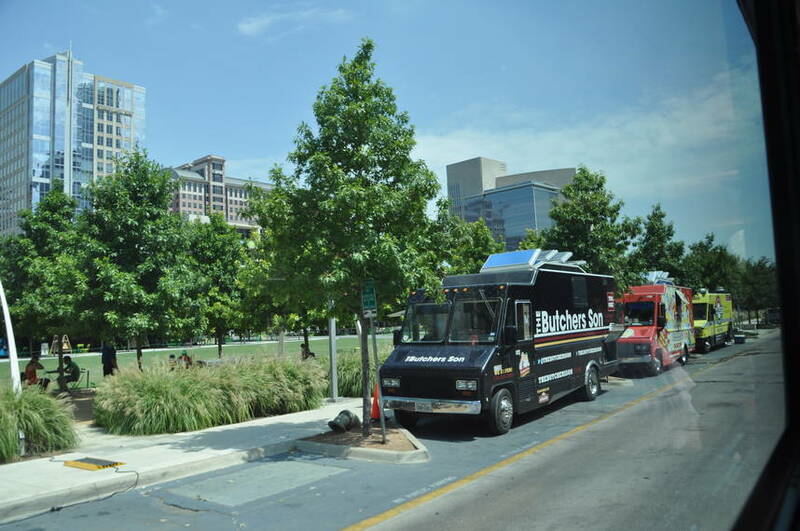 We park just below the TX Book Depository building. More on that later. 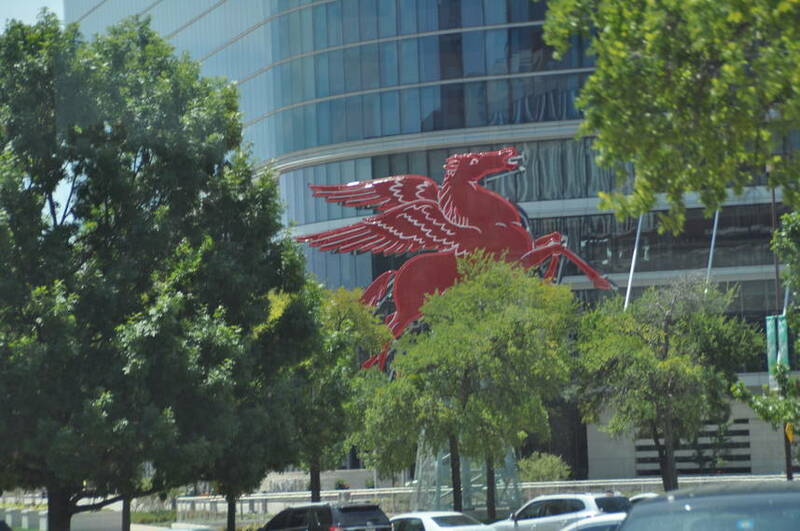 At the Hyatt, the Reunion Tower looms out. It is only fine dining at the top. Wolfgang Puck's restaurant is there. There is also a strict dress code. Well, that leaves us out. There is a 2 week waiting list to eat there. So I guess we will not be eating there today. he,he,he. The deck around the top is called the Geo Deck. There is a 360 degree viewing range. On a good day like today you can see to the DFW airport. 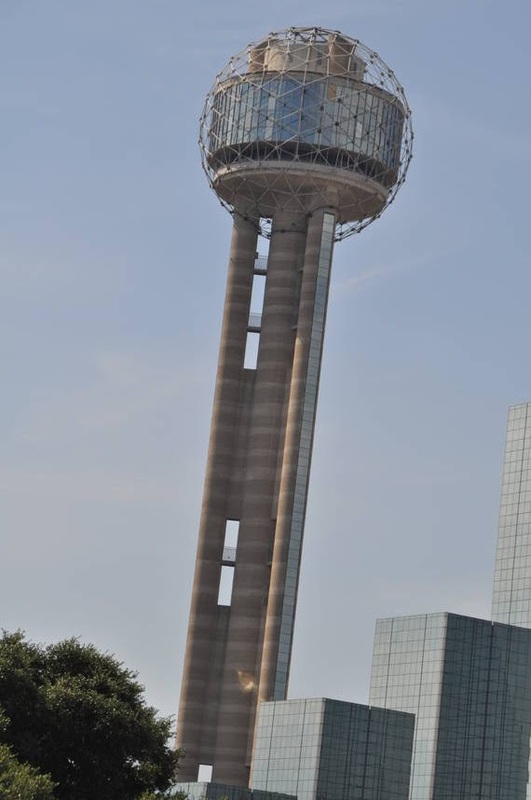 People from Dallas call the tower the Dandelion Tower. Ok I guess I can see that. The Hyatt is a 1,500 room, 5 star hotel. 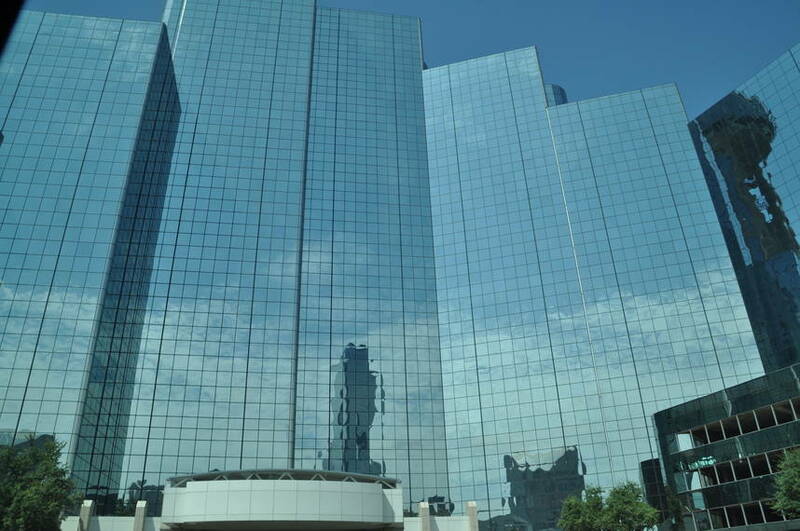 The glass siding was designed to reflect images of downtown. 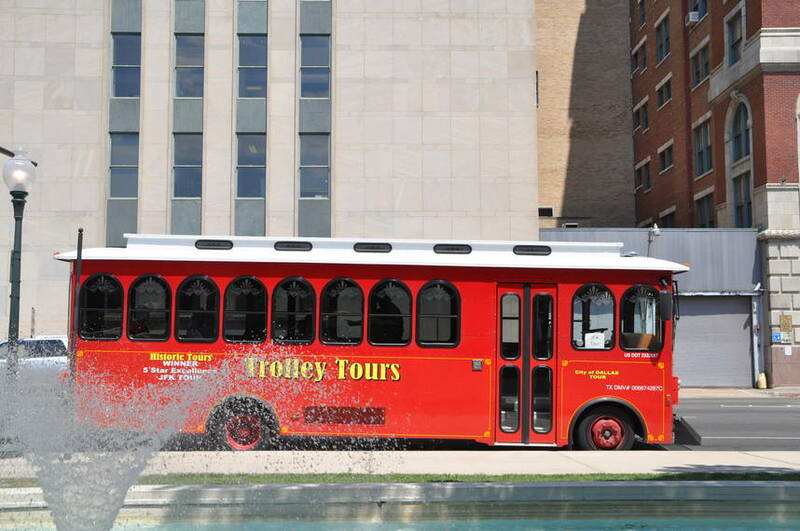 We start our tour with the Trolley Tours. It is a hop-on-hop bus. We have found this to be the best way to see the city. OK kiddos. Get those seat belts on again. Here is your history ride. We start at Dealey Plaza. 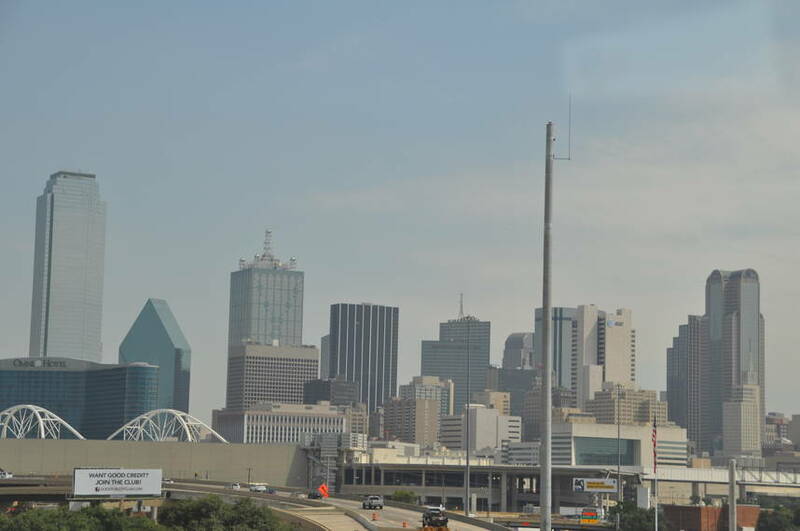 The start of Dallas. 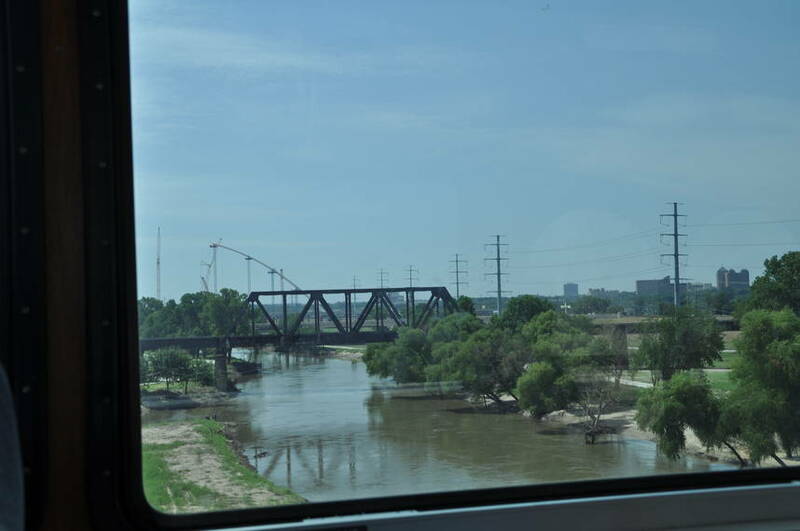 In 1839 Tennessee lawyer John Neely Bryan chose the high bluff and shallow ford on the Trinity River as a site for a trading post. 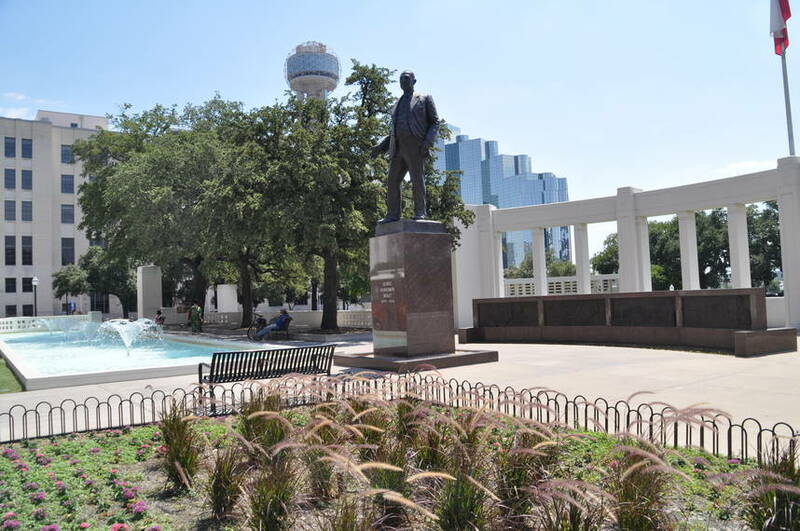 He planted a town, installed a ferry and called the place Dallas in 1841. 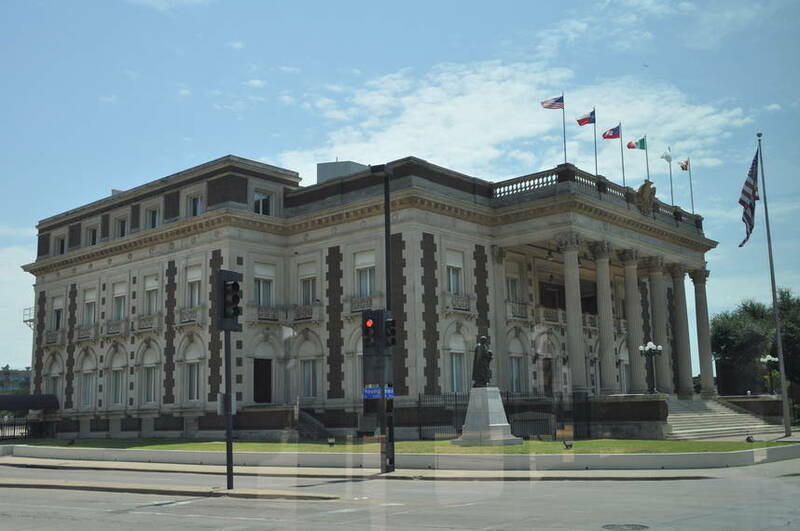 The Republic of TX opened its Central National road from this site to the U.S. border. They drew settlers to the area with liberal land grants. He met Margaret Beeman. Her father was a prosperous man from Illinois. His family was from North Carolina. At 15 she met Bryan at the Cross Roads Campground. Her father stakes his claim about eight miles from Bryans town. They married in 1843. They had 6 kids. 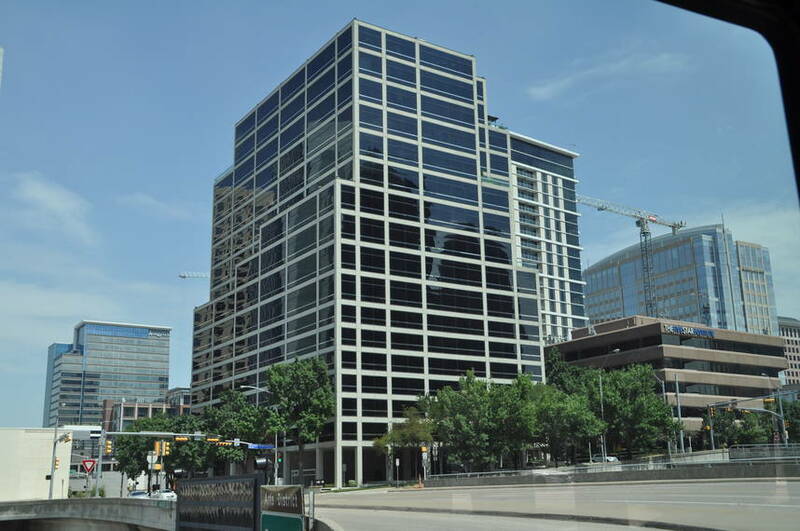 Margaret's family strongly supported Bryan's work as "Father of Dallas". Bryan went to the CA gold rush in 1849 but gained no fortune. 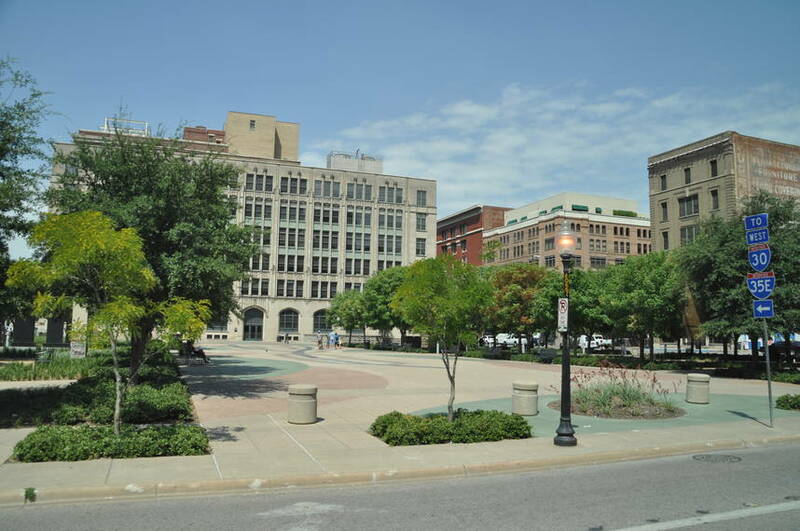 After he returned he donated 98 city lots for a courthouse and county seat. He sold his ferry and the remaining interest in the town. 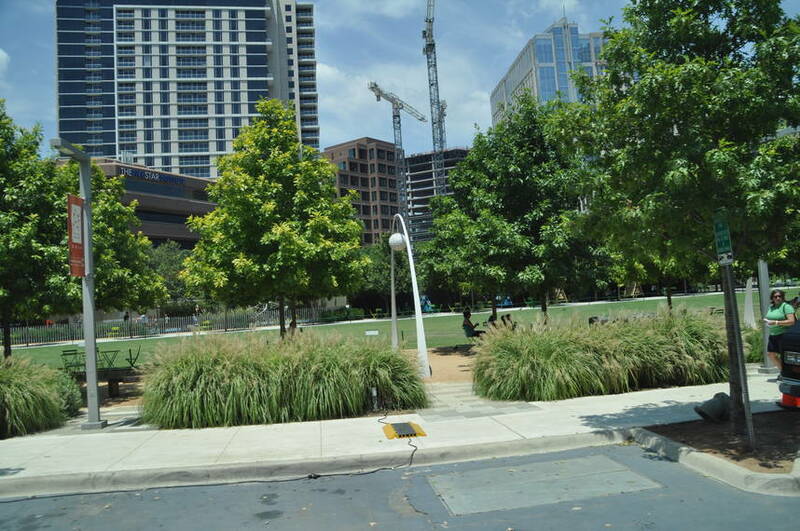 In poor health he died in Austin at age 67. 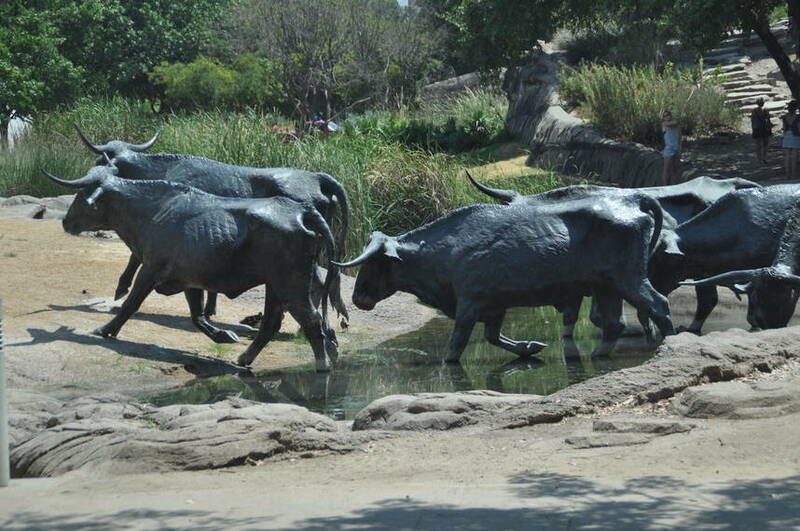 His wife lived to be 94 and saw Dallas attain population of over 150,000. The Old Red Museum was built in 1892. It was the original courthouse. 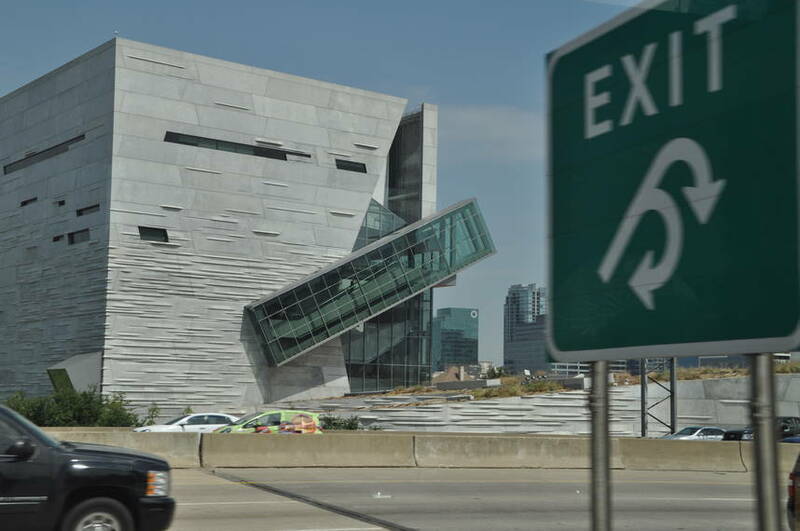 The museum is now focused on Dallas history. 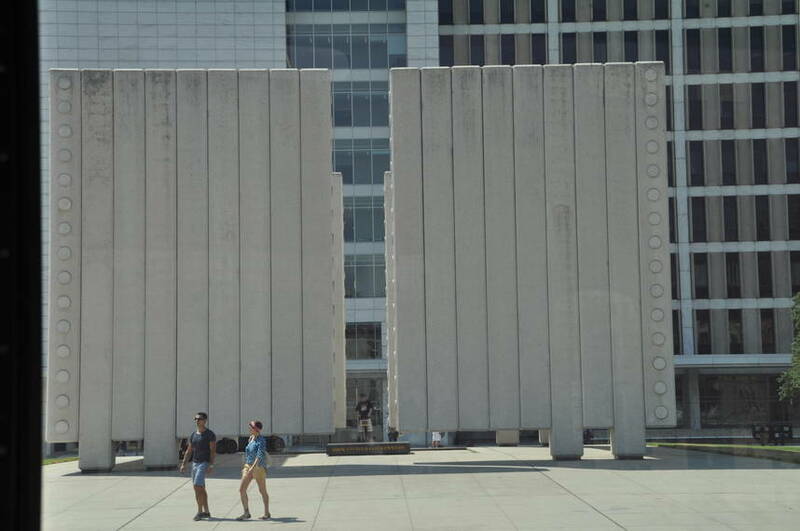 In 1974 the Kennedy Memorial Plaza was built. The structure was called the Eternal Tomb. Jackie Kennedy had to give her approval before it could be built. 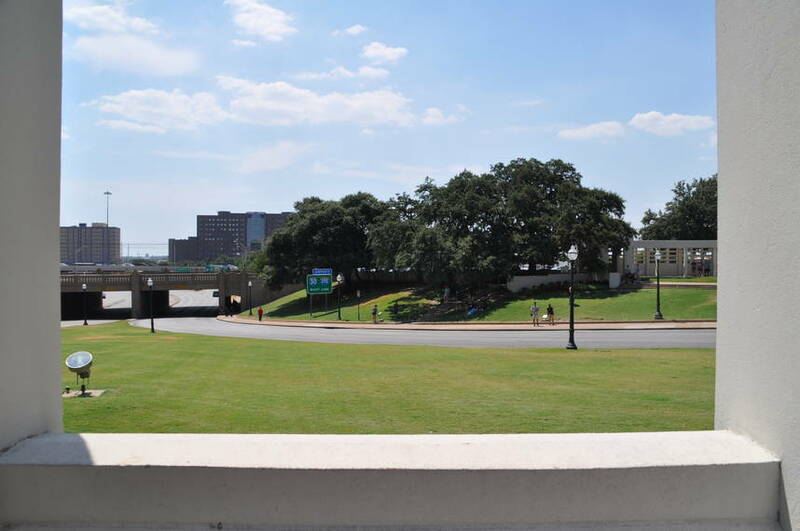 The foot of Dealey Plaza used to be the foot of the Trinity River. After flooding several times they decided to reroute the river. 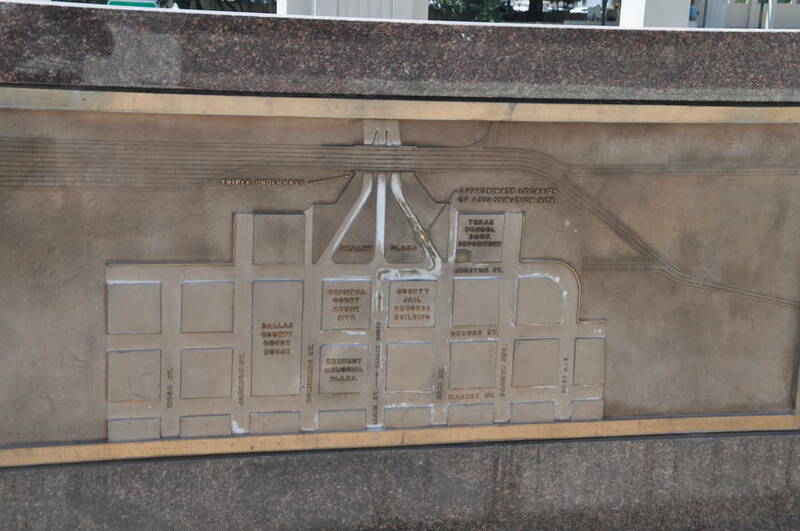 At Founders Plaza there is a fountain that represent how the river was diverted. 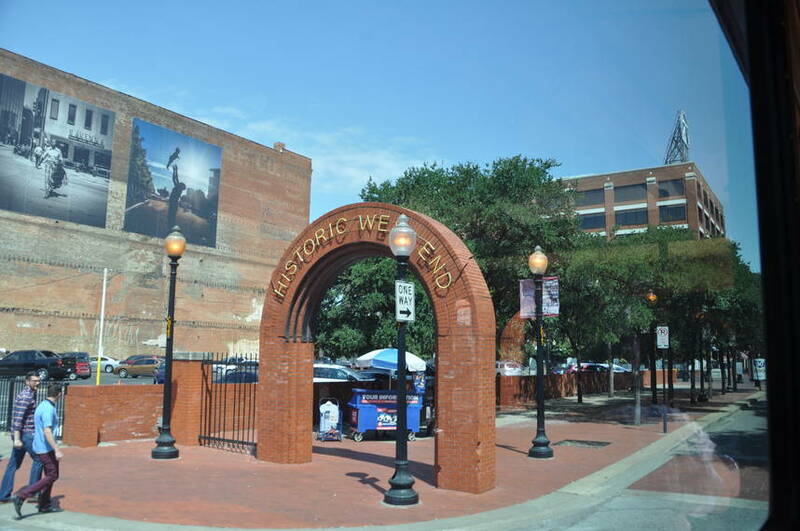 The arches lead into the Historic West End. 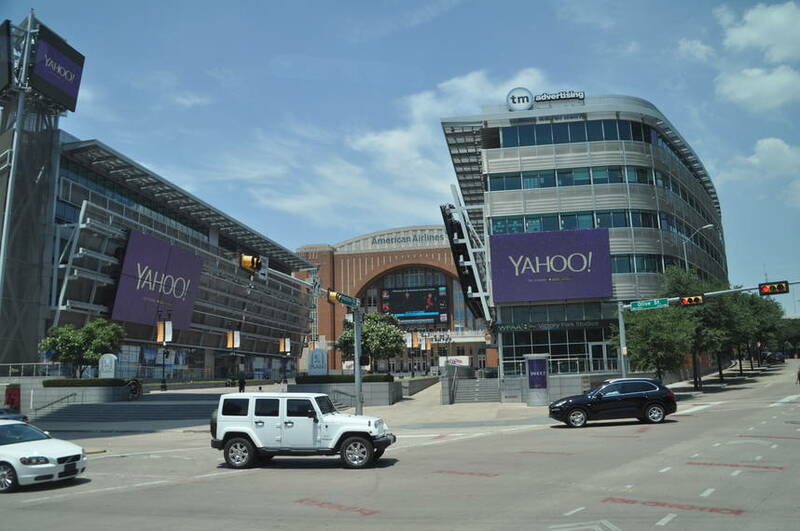 This use to be the industrial area of Dallas. 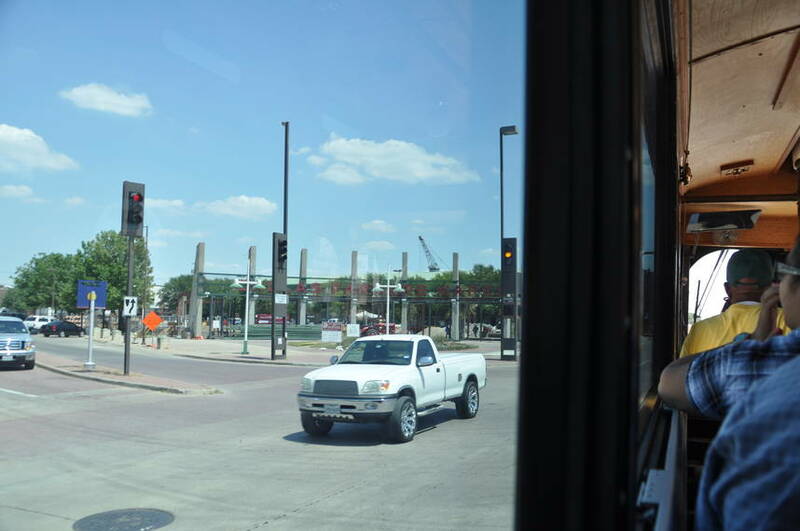 It has now been urbanized with shops and restaurants and new condos. 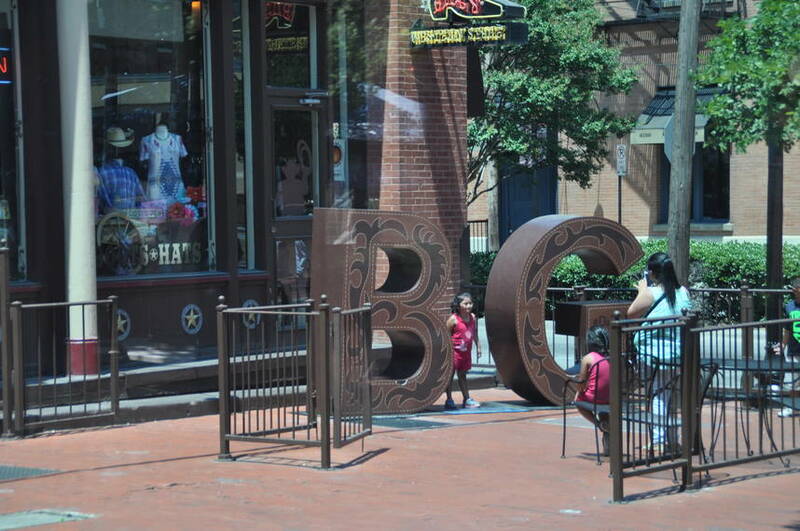 Around town are big letters that say B G. You are suppose to put yourself in the middle which makes the I. Then it spells BIG because everything in TX is BIG. 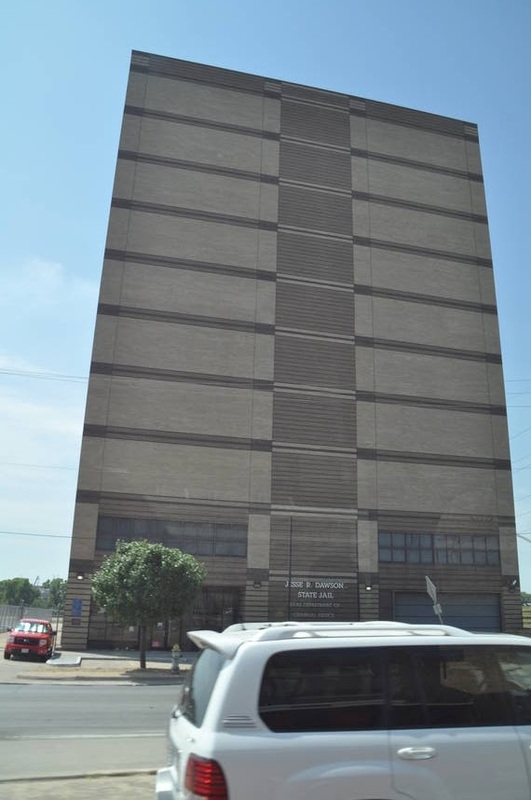 Those TX boys know how to put up a nice jail. No windows, no exercise room, no TV's. They don't play when you go to jail. Are you listening Cally? This is the Margaret B. Hunt - Continental Bridge. Remember last week I told you about the bridge that did not have any water under it. Well it is called the McDermott Bridge. We were able to really get a good look at it. There was a little water under it. 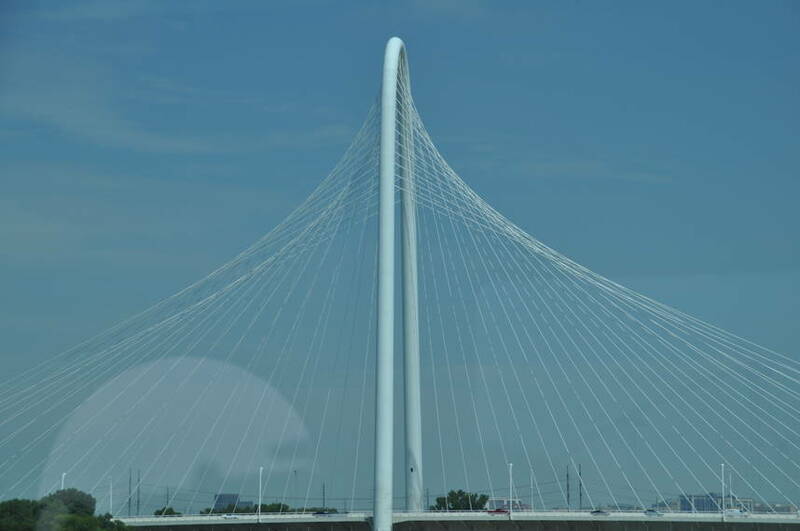 This is where the Trinity River is. 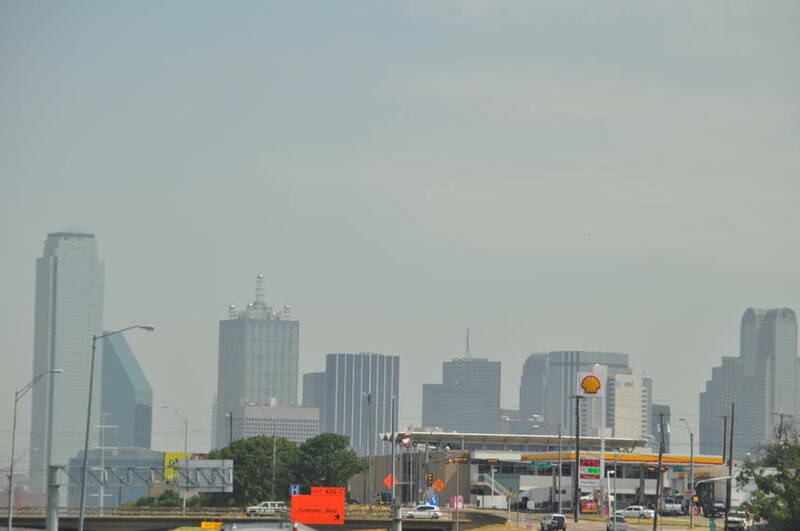 This spring Dallas had a wet winter. The water 6-8 feet high. See the green grass. That was all under water. That is why they need the bridges. Did you know the series Dallas was based on a real family? Yep. It was based on the Hunt family. H.L. Hunt was a TX billionaire. Google him. It will blow your mind. Talk about family issues. It is so good to be po. Yep I said po. Too po to have 2 o's. 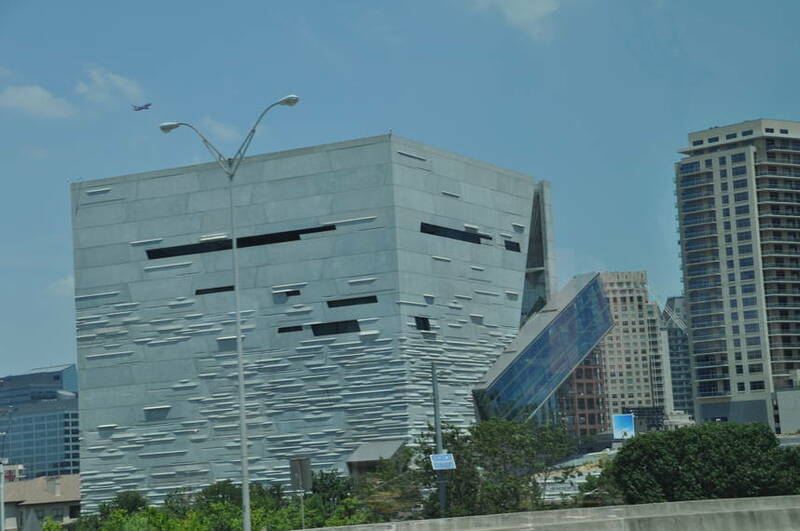 This unusual building is the Ross Perot Museum of Nature and Science. It is a museum that is design for people to touch any of the items. The building itself is unique. 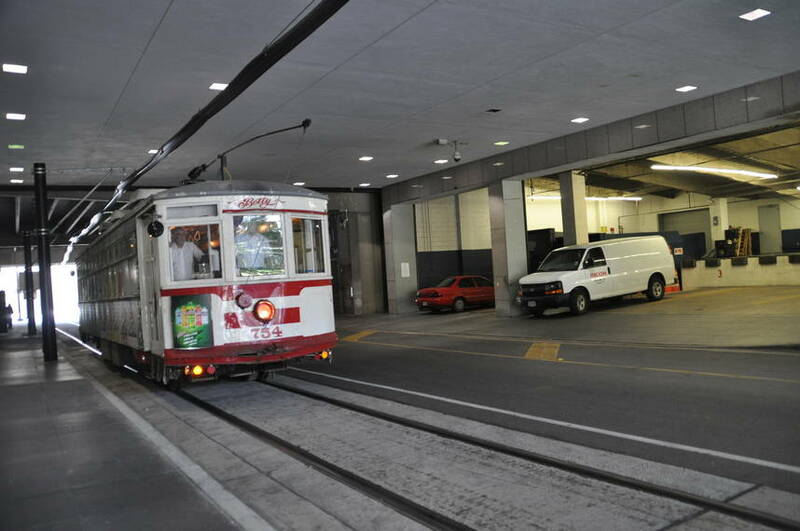 That long side item is the escalator. Do you know who Ross Perot is? If not Goggle him. He is a interesting person. 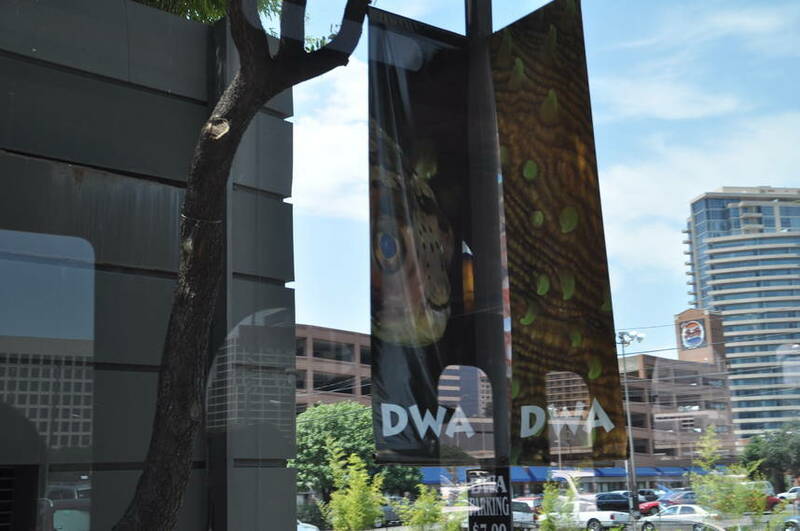 Dallas World Aquarium has aquatic exhibits from around the world. They even have a South American rainforest and exhibits on Mayan Culture. 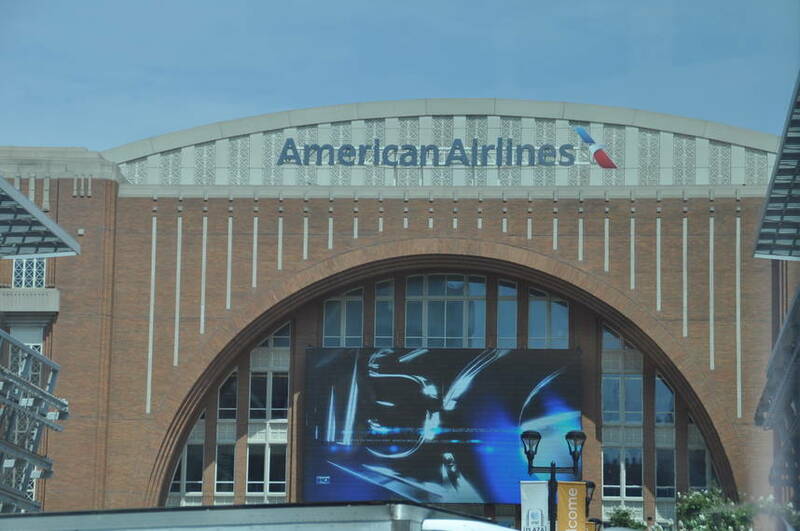 American Airline Center home of the Mavericks basketball team. Different building structures. 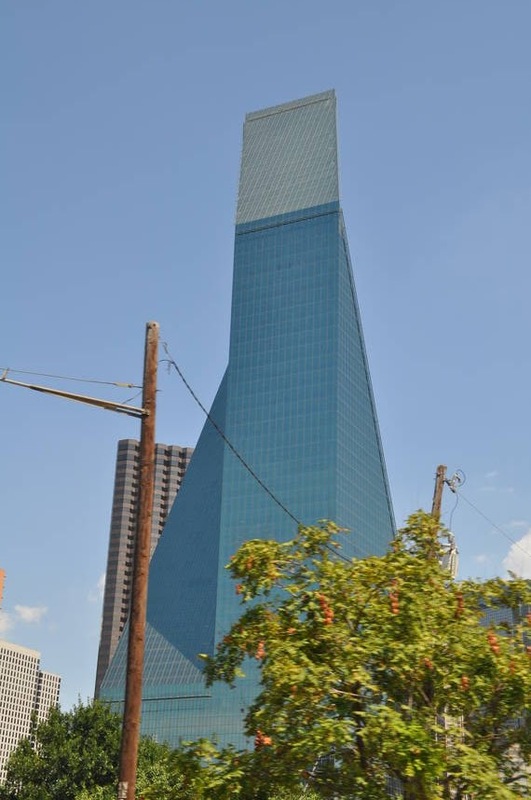 What is the tallest building in Dallas? The Bank of America. 920 feet tall. It was suppose to be a twin tower. But, because of the 1980 financial disaster (Remember the Lincoln Saving and Loans mess?) it was cancelled. 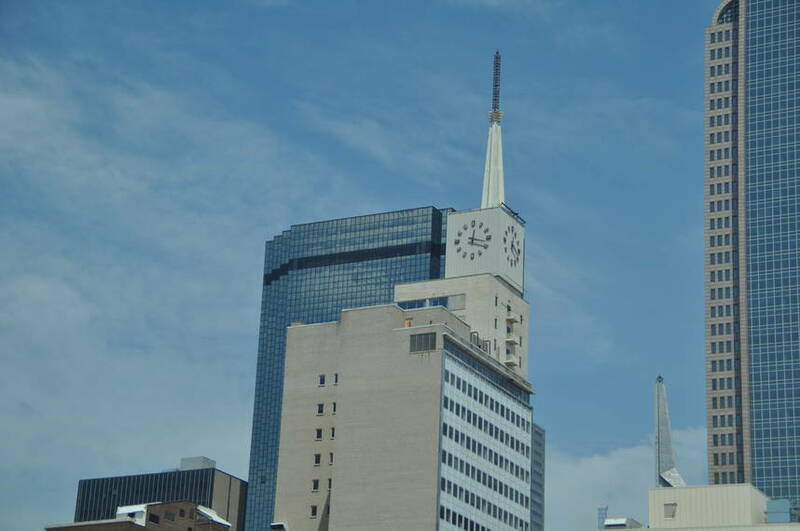 The Arrow Building is called Fountain Place. It has 533 fountains and waterfalls. 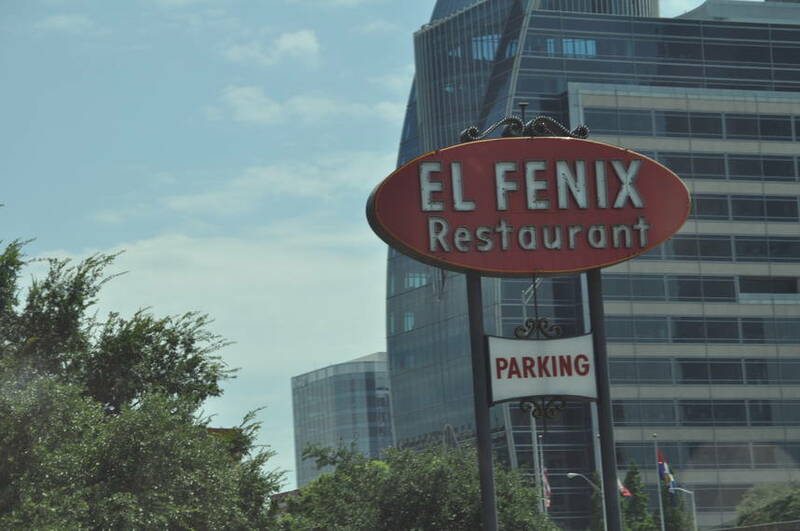 The original El Fenix is the first Tex-Mex restaurant in Dallas. It was established in 1918. 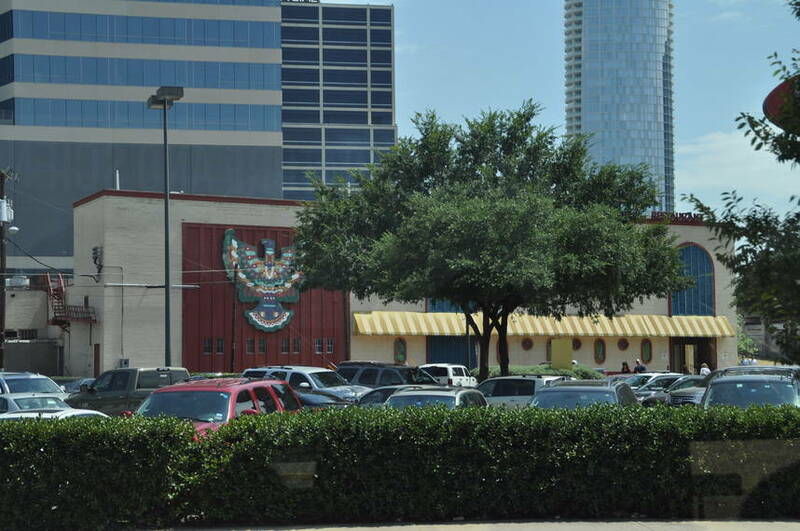 It is home to the first frozen margarita machine in 1978. 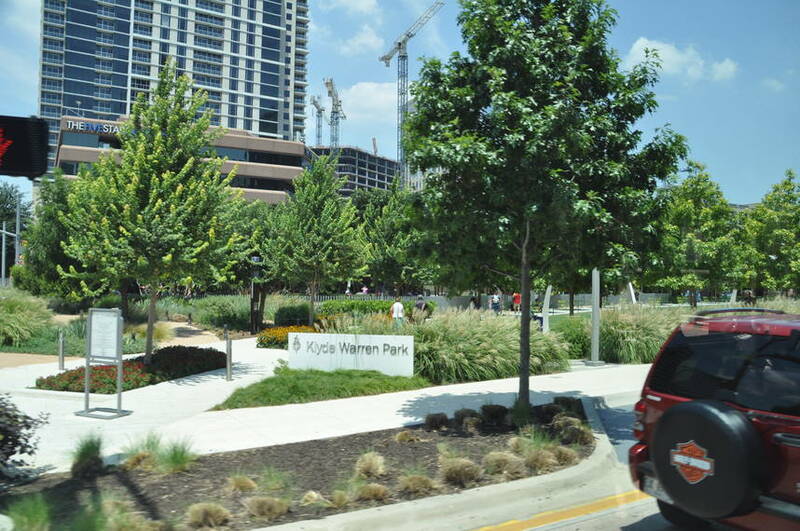 Klyde Warren Park is an open space park. Don't worry about bringing a picnic. 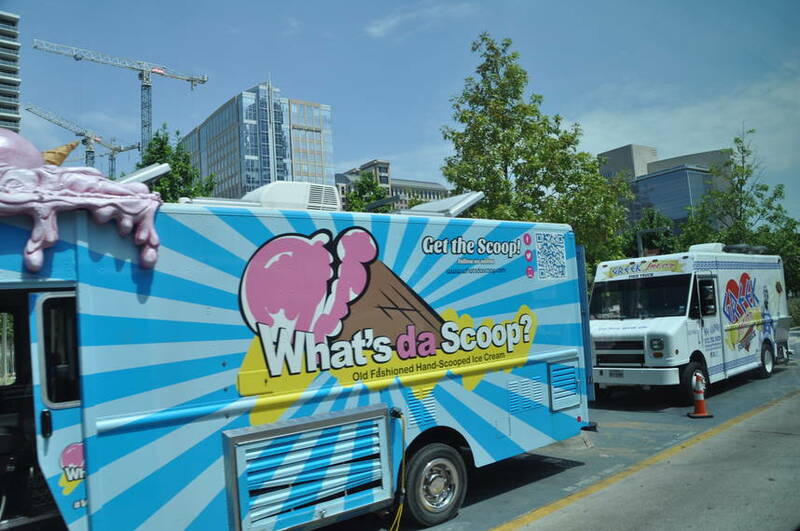 The food trucks are there every day. The park also has free badminton games, ping pong etc. Flora St. is the home of the arts. You will find the ballet, theater, operas. 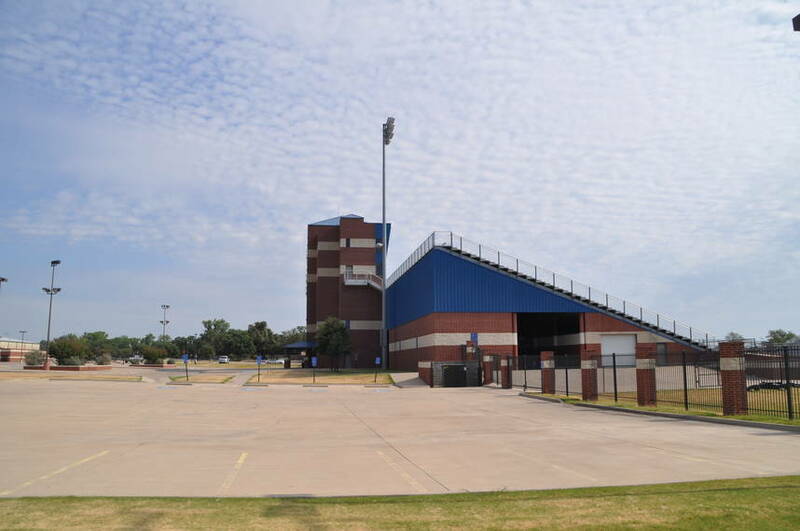 At the end of the street is the Booker T. Washington Performing Arts school. It is suppose to be equal to the Joffrey Ballet School in NYC. Nora Jones and Erika Badu graduated from there. Nora & Erika who?? You know what I am going to say. GOOGLE IT. The Cathedral of Guadalupe has 49 bells in the tower and is rung every day. The Scottish Rite Temple has a wonderful exhibit about Audi Murphy. I know you are wondering who the heck is this. We old folk know he was a decorated war vet, Hollywood movie actor and activist. Still don't know him. Well. Go to the land of Goggle. You will figure it out. 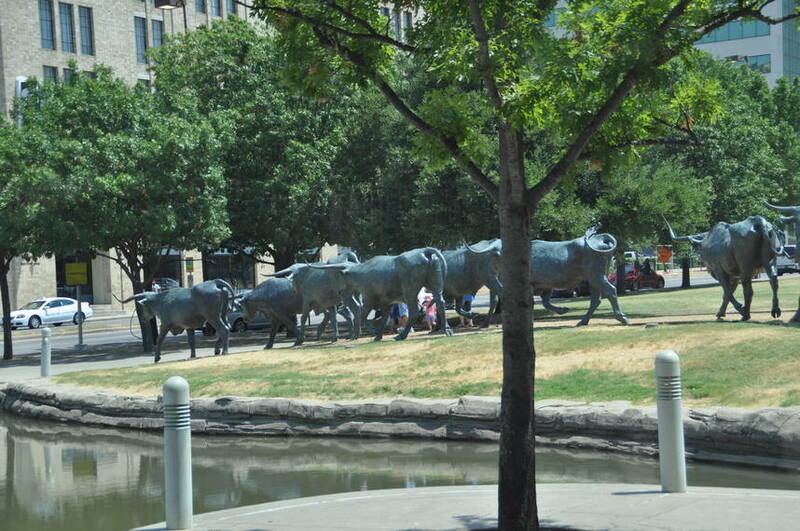 Pioneer Plaza has statues of a cattle round up on the Shawnee Trail. They have a wonder Farmers Market. 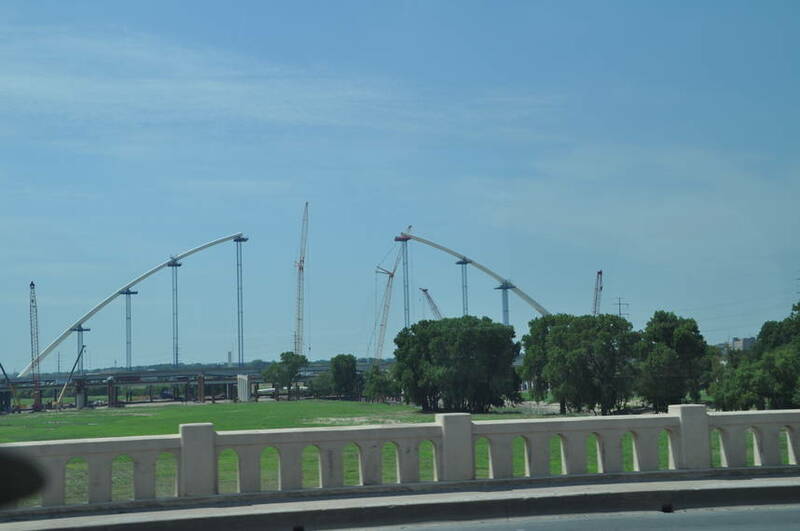 However it is only opened Fri-Sun do to construction. 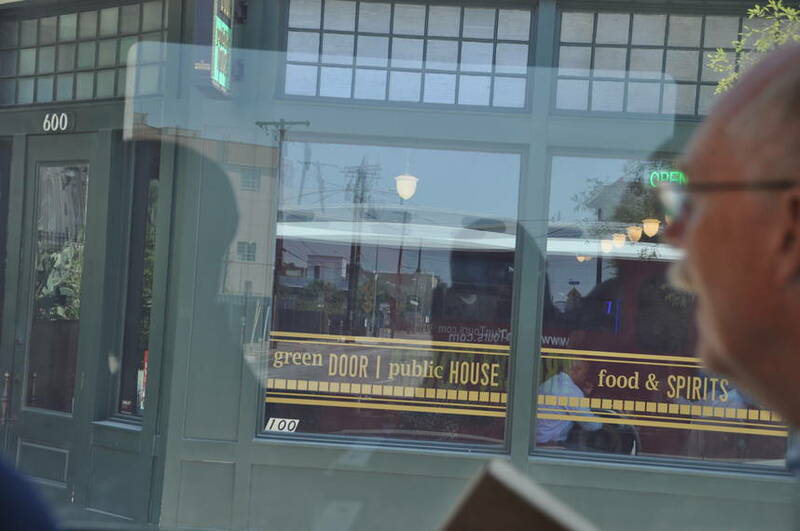 The Green Door. Do you know that during Prohibition (this is when it was illegal to buy or drink liquor) any door that was painted green meant bootleg liquor was still sold there. 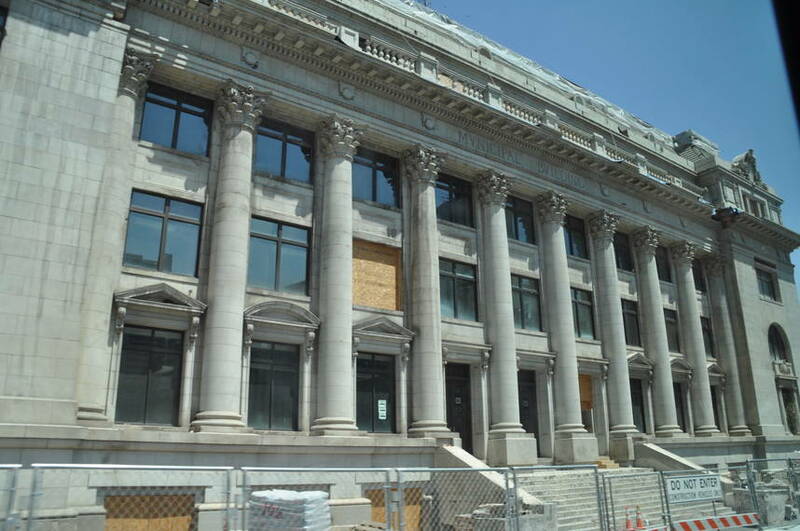 The Mercantile Building. It had lights on top that would flash to let one know what the weather would be. 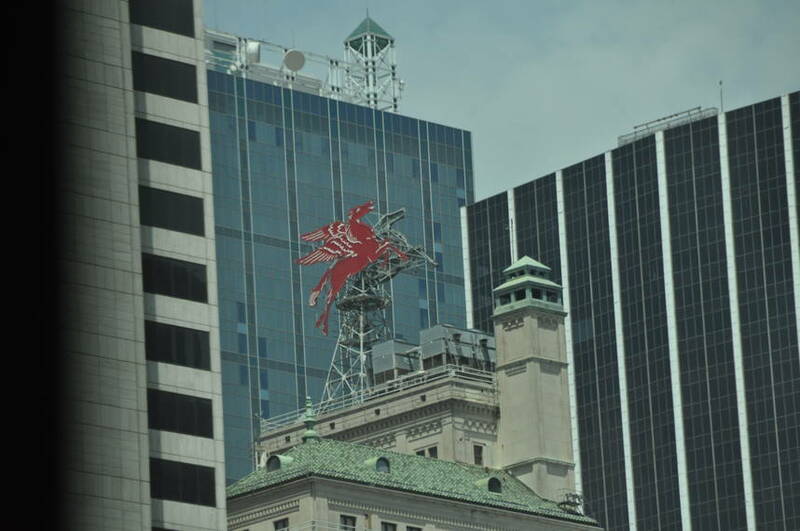 See the red horse on top of that building? That was the Magnolia Oil Company building. They later merged with Mobile Oil who took on the logo. It is now the Magnolia Hotel. 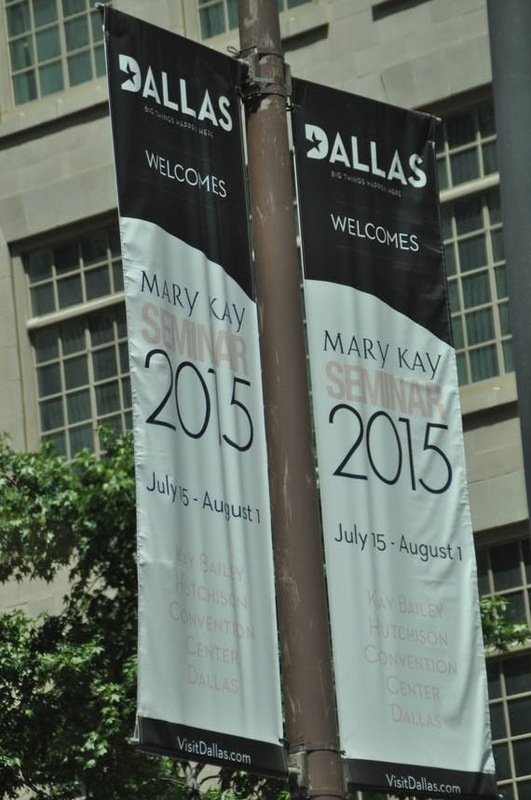 Did you know Dallas was the home of Mary Kay? Herbert Marcus use to be a worker at Cocoa Cola. 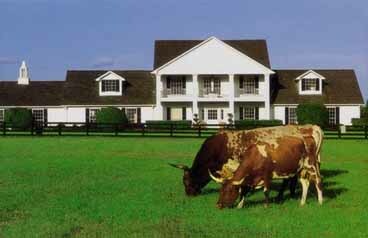 He cashed out his stock for $25,000 and headed to Texas with his brother-in-law Abraham Lincoln Neiman. 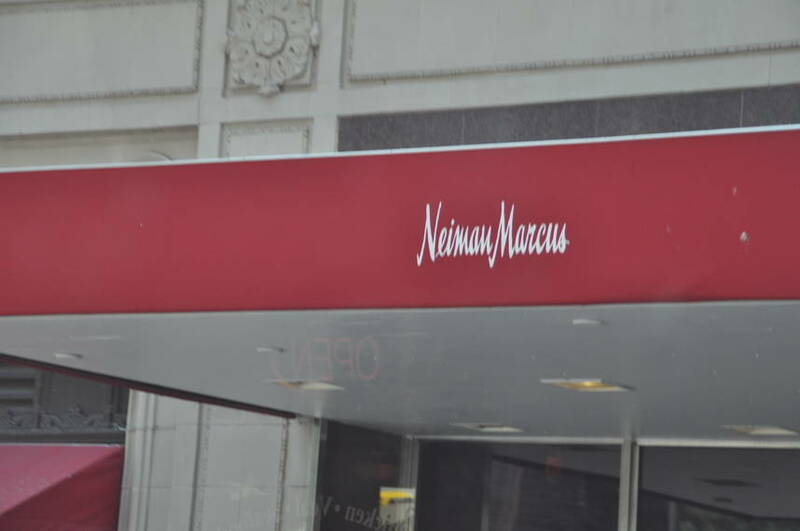 The two of them started Neiman Marcus for high end fashion. It is still high end today. Some call it Needless Mark ups. The store is still in the same area where they started. Located in the Stone Place section of town. 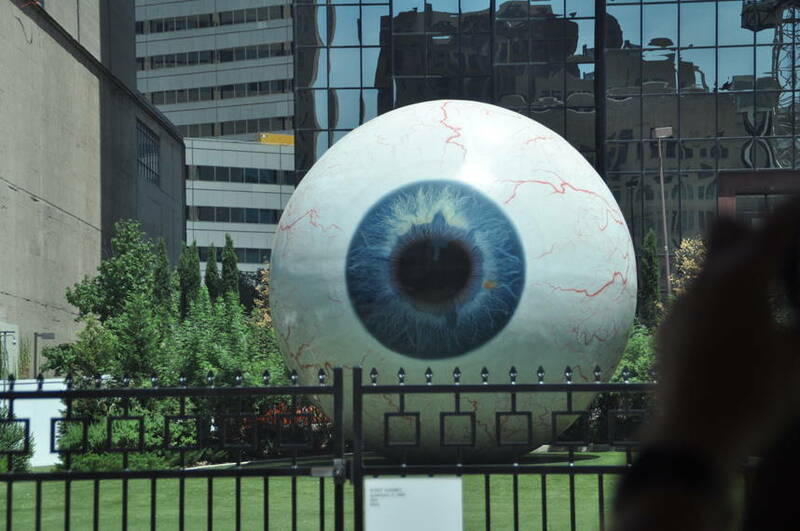 The eye represent who can stare you down. Legends say a good Texan will stare you down and not bat and eye. I guess this is so. My mom, Joyce Evelyn Brown Parker, was from Beaumont, TX and could give you the eye to put you in your place. Especially her kids. Whew. Glad those days are over. 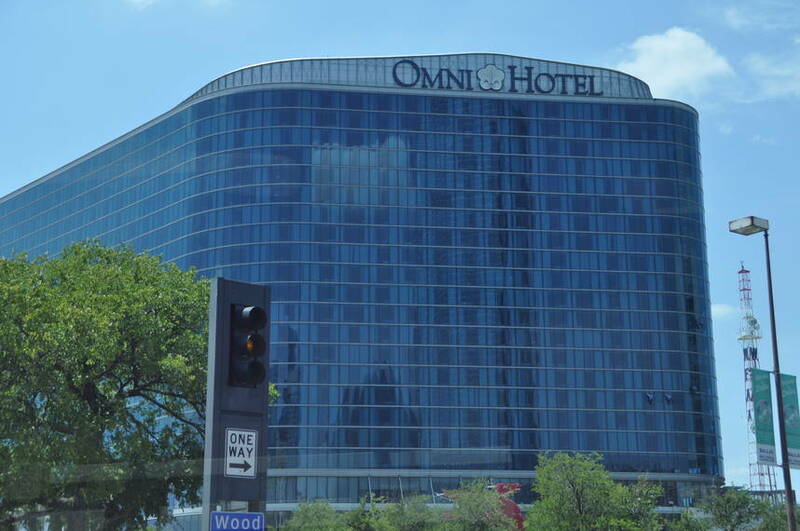 The Omni Hotel has led light panels on it so they can put on a light show at night. 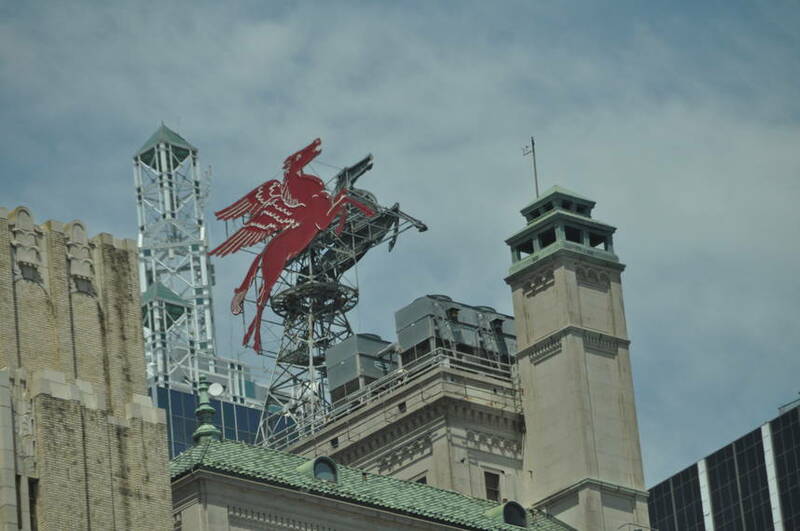 The Pegasus Horse was once top of the Magnolia Building. It was taken down and stored. 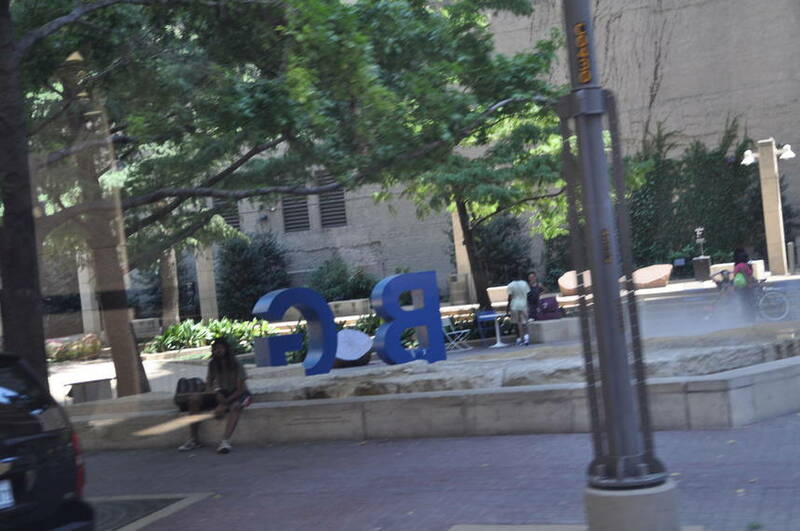 Last year it was brought back to life and place in front of the Omni. You know Lo. He always wants to see the "real city". 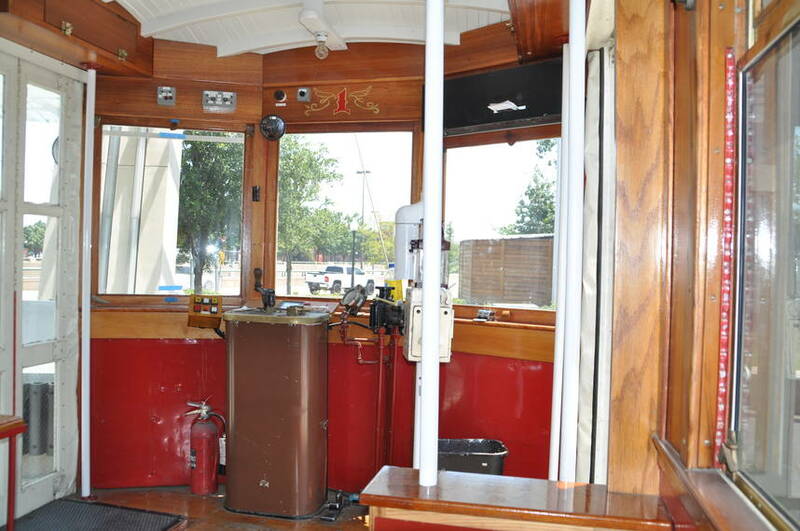 So we jump on the free street trolley for a ride. 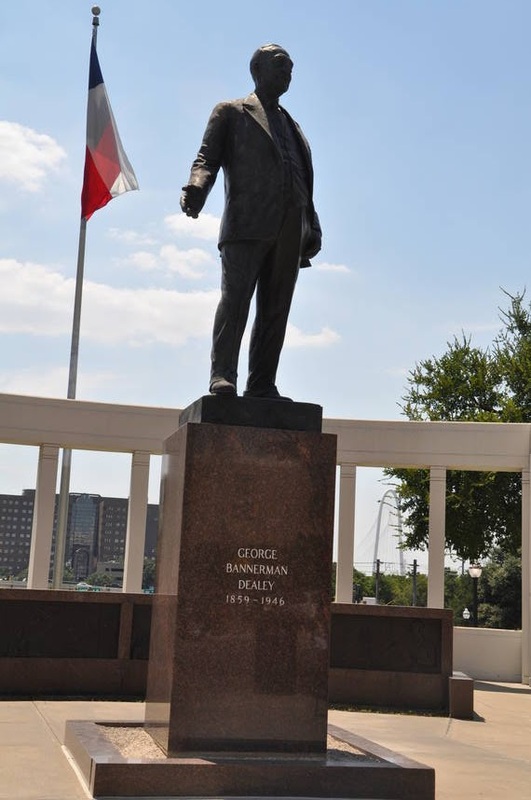 George Bannerman Dealey Plaza was named after him because he was a civic leader and champion of city planning. 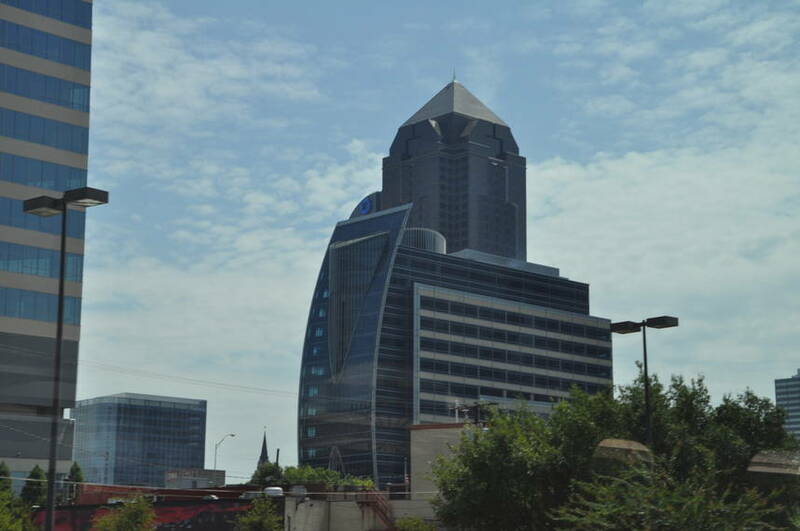 He also help to establish Dallas. 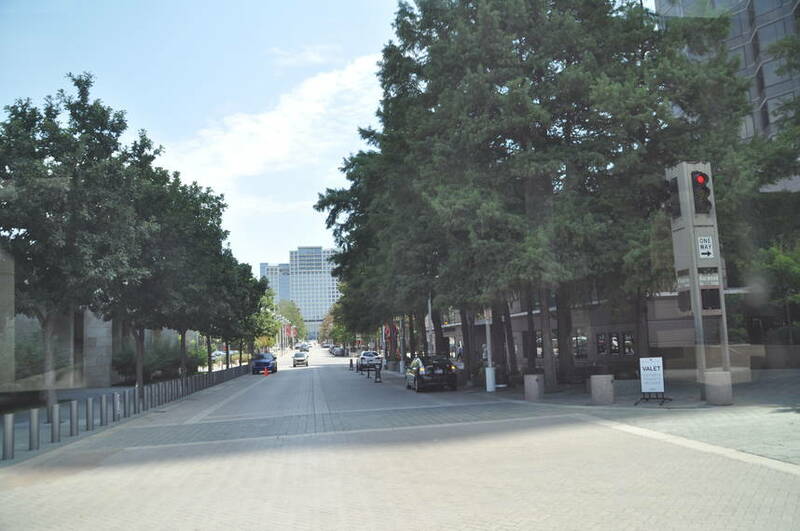 The plaza is known as "The Front Door of Dallas". It was dedicated in 1936. 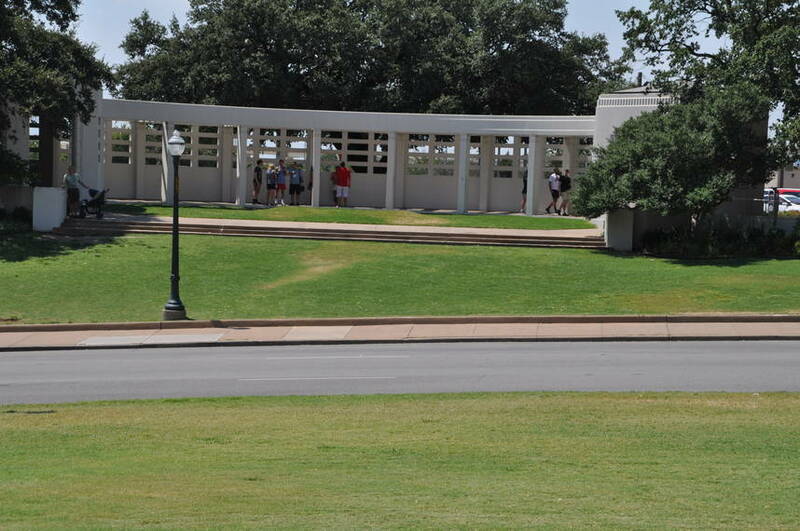 Most people remember this as the assassination site of President John F. Kennedy in 1963. 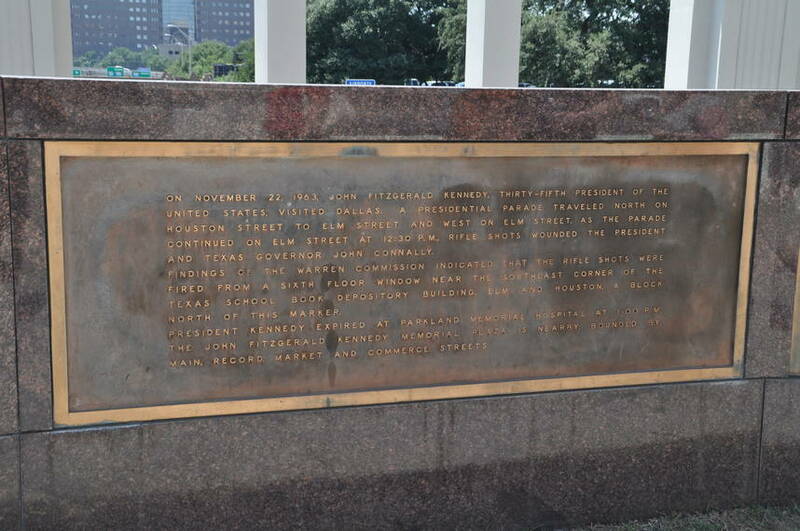 Dealey Plaza was the end of the presidential motorcade prior to Stemmons Freeway and the Dallas Trade Mart, where President Kennedy was to speak at a luncheon. 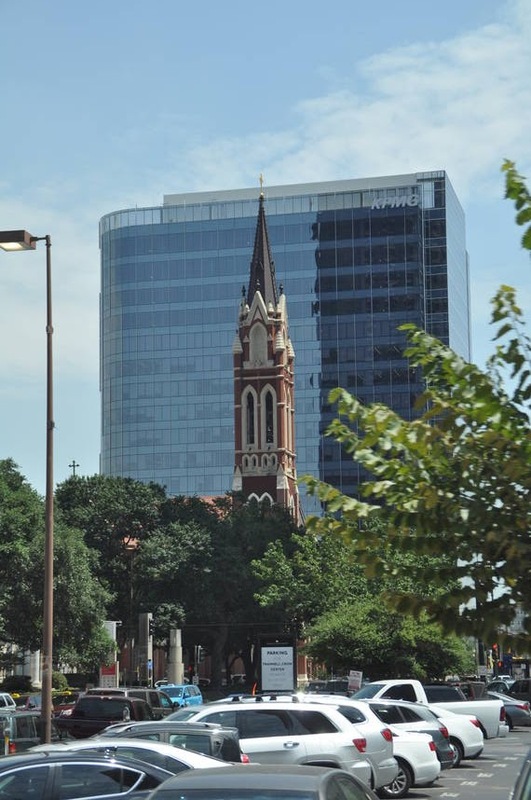 The historical significant prior to 1963, the site marks the birthplace of Dallas, originally founded by John Bryan. 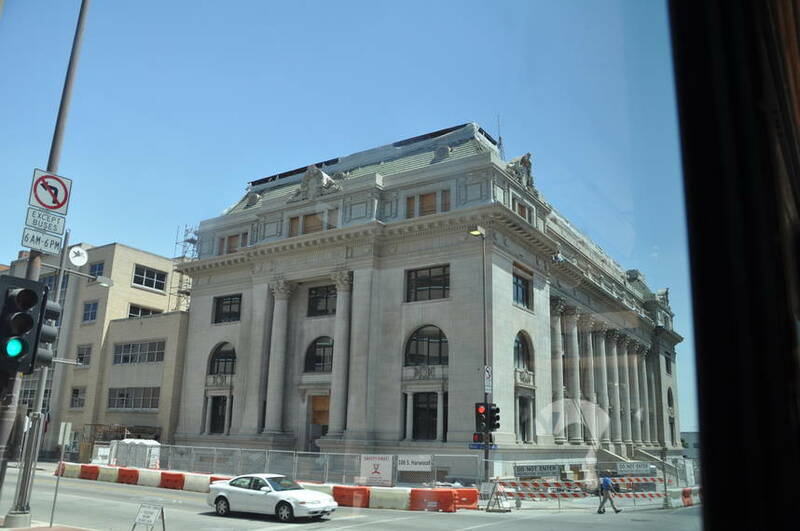 The now familiar architectural structures were built nearly a century later as a WPA project. 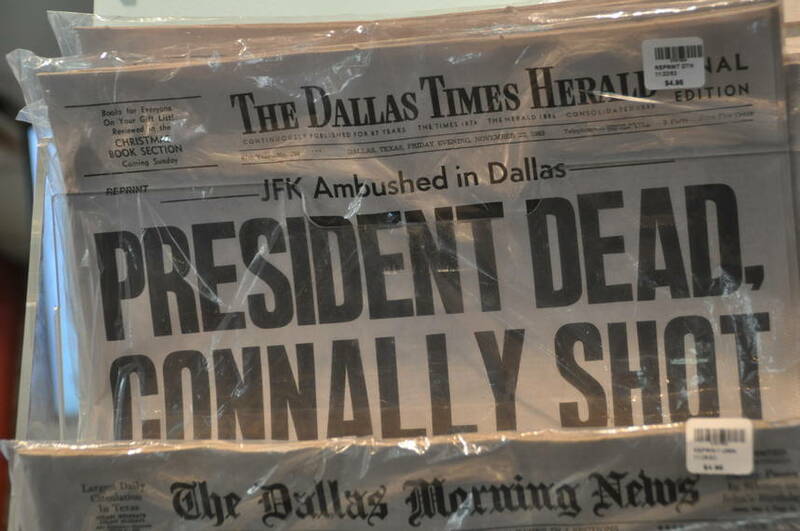 Do you remember where you were on November 22, 1963? I do. I was sitting in my History class and Mr. Store was my teacher at Roosevelt Jr. High, Richmond, CA. There was an announcement made on the school PA that President Kennedy had just been shot and was mortally wounded.. It really struck me on the enormity of this because my teacher started to cry. I had never seen a man cry before. As we pass by the Kennedy Parade route you stop and think what life would have been like if the parade had gone another route. 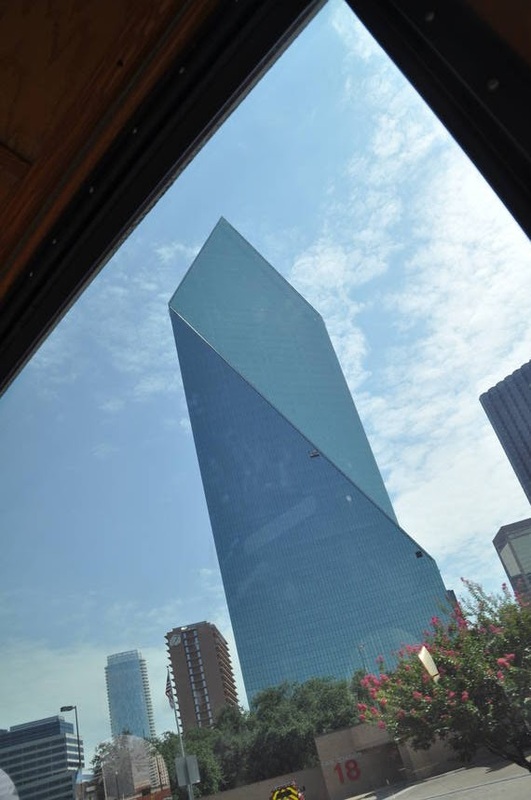 The Texas Book Depository Building was originally owned by John Bryan, the founder of Dallas. During the 1880's French native Maxime Guillot operated a wagon shop there. In 1894 the land was purchased by Phil L. Mitchell. In 1937 the Carraway Byrd Corp purchased the property. 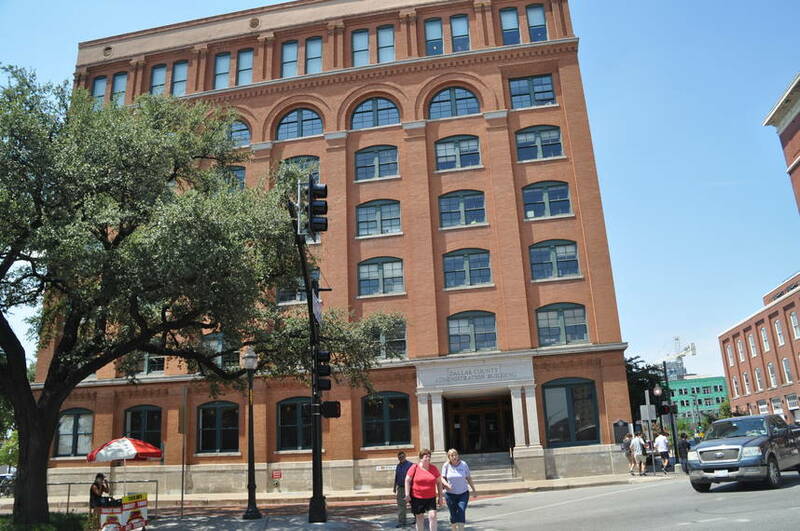 Later it was leased to a variety of businesses including the Texas School Book Depository. On Nov 22, 1963 Lee Harvey Oswald allegedly shot and killed President John F. Kennedy from a sixth floor window as the Presidential motorcade passed the site. 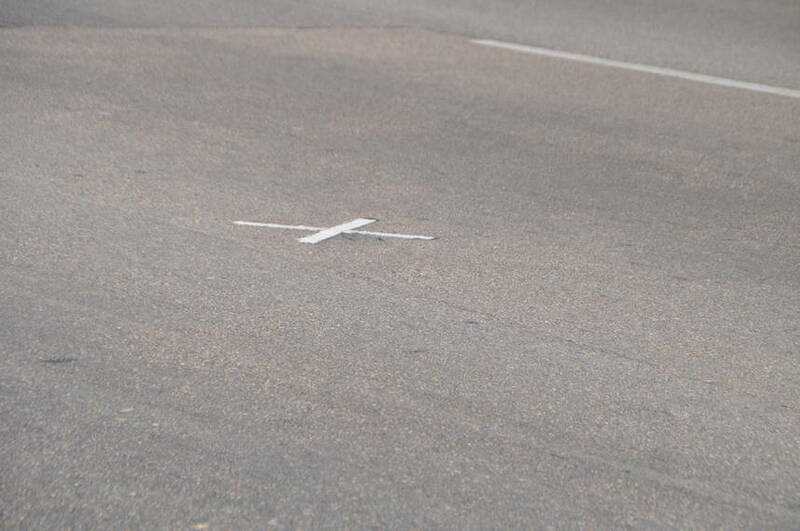 There are two X in the street to show where Kennedy was shot. 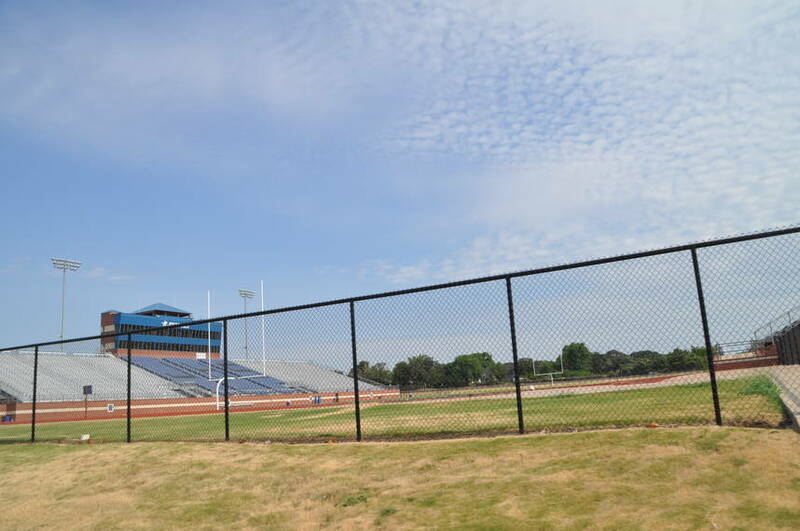 See the fence. 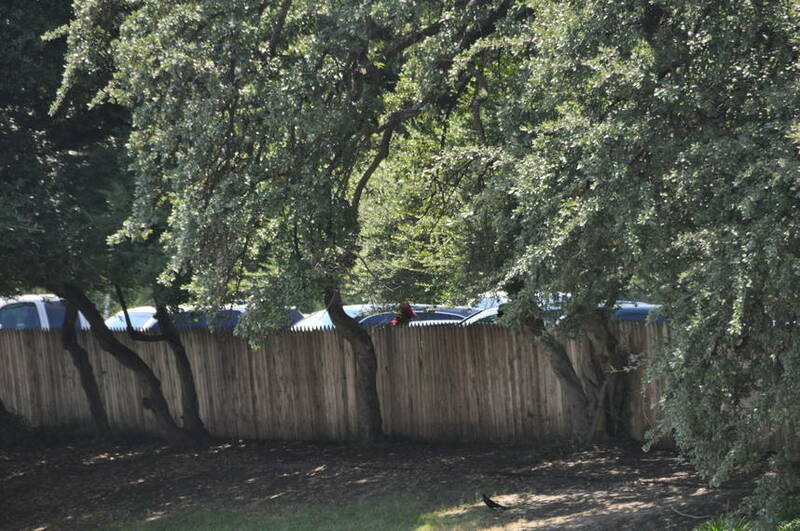 Many people say they saw a second shooter behind the fence. There has been proof on footage of gun smoke coming from this area. Some say people followed the shooter until he was able to get away. 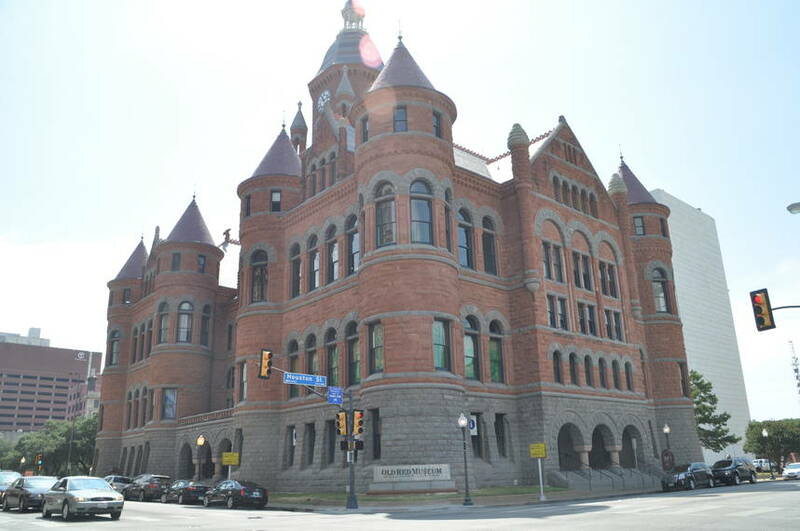 This is the courthouse Oswald was taken. Two days later as Oswald being transferred to another prison and was talking to the press Jack Ruby just walks up and kills him. This is the first time America sees a live killing. Some questions to this day are: Why was Ruby allowed in the transfer area? Why as Oswald being transferred to another prison? Why was Oswald not better protected by police? etc, etc. On November 22, 1963 John Fitzgerald Kennedy, Thirty-Five President of the United States, visited Dallas. 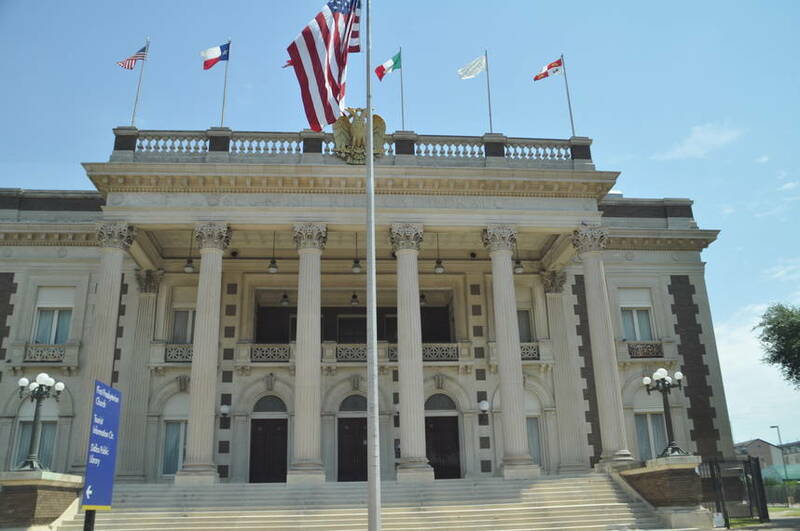 A Presidential parade traveled North on Houston Street to Elm St. At 12:30 P.M. rifle shots wounded the President and TX Governor John Connally. 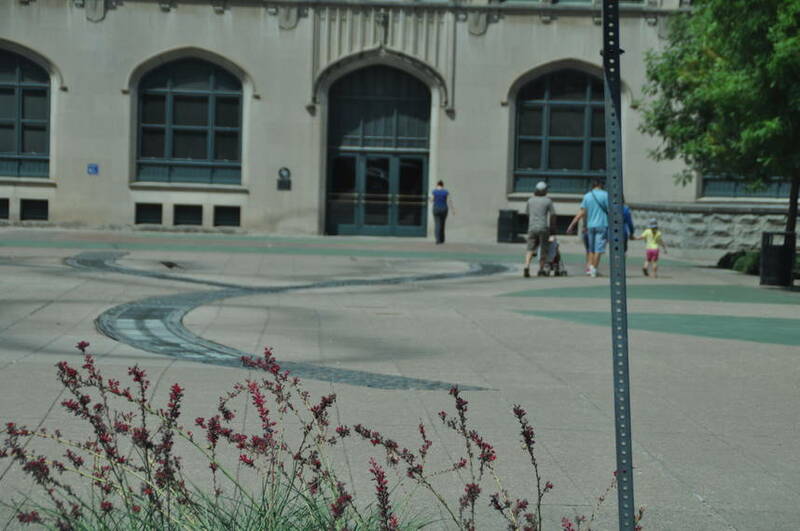 Finding from the Warren Commission indicated that the rifle shots were fired from a sixth floor window near the southeast corner of the Texas School Book Depository building, Elm and Houston a block north of this marker. President Kennedy expired at Parkland Memorial Hospital at 1:00 P.M.
To this day many don't believe and will not accept what the Warren Commission finding were. There are many conspiracy theories. What do you think? What famous director of pictures did a movie on the assassination of John F. Kennedy? Heh. I don't think I know anyone else "too 'po' to have two 'o's." Woman, you are an original.